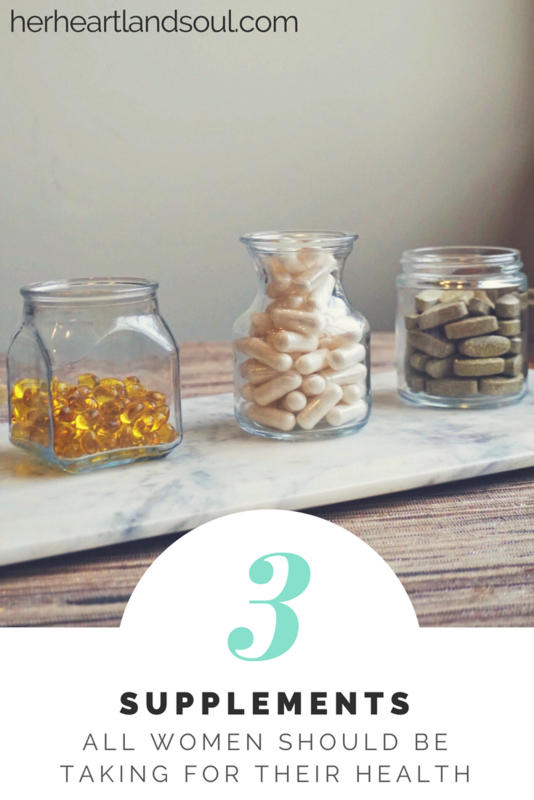 Today I’m sharing the 3 best supplements for women’s health. 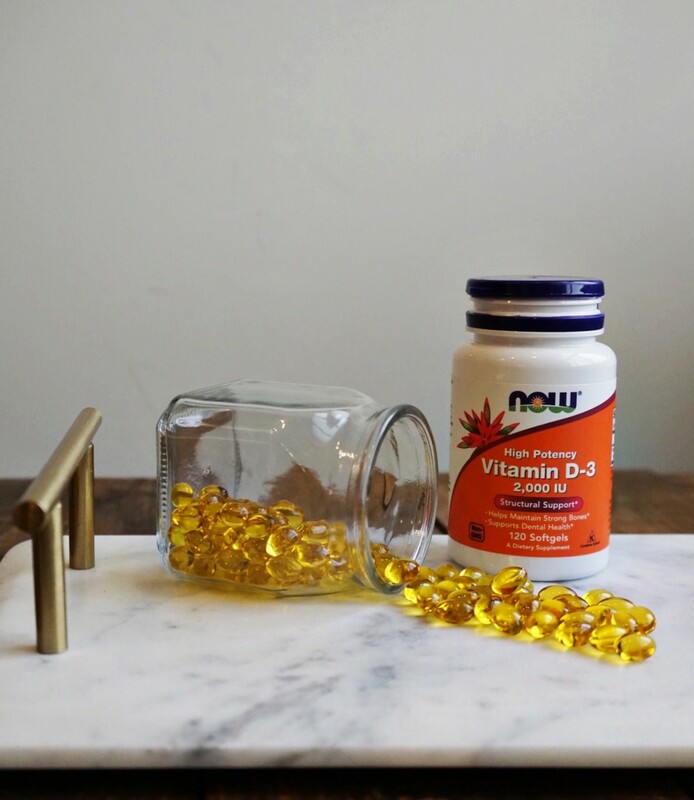 Read on for why all women should be taking a multivitamin, Vitamin D-3, and a pro/prebiotic as part of their daily wellness routine. I’m done not taking my health seriously. I’m getting my house in order by making sure I’m eating right, working out, and giving my body what it needs. 2018 is going to be an incredible year for me, and I want to start it off strong. In addition to eating well and working out, I’m also making sure that my supplement game is on point. While I do not believe that supplements should be your main source of vitamins and nutrients, I do believe that they are incredibly helpful for bridging gaps in your diet and solving for any deficiencies you might have. A lot of people seem to be all or nothing with supplements. My personal opinion is to use food as my main source of fuel but supplement with supplements when recommended by my doctor. The supplements I take are ones recommended to me by a medical professional to help my body get more of what it needs. It just so happens that the supplements that were recommended to me are very common supplements recommended to a lot of women my age. I wanted to share the three health supplements I’m taking in hopes it can start a conversation between you and your doctor on if there’s any supplements you should be adding to your diet. Please note that I am not a medical professional and supplements are medicine. What works for me will not necessarily work for you, so make sure to chat with your doctor before adding any new supplements to your diet. I think of a daily multivitamin as an insurance policy. It’s there to cover me if I miss out on getting enough key nutrients via my diet on any particular day. I use to take gummy vitamins and loved them because they tasted like a treat, but thanks to braces, I’ve had to give them up. I kept putting off finding a new multivitamin until my doctor told me at my last physical that my iron levels were on the low side of normal. He said that the best way to get my levels up was to add a multivitamin that contains iron to my daily routine. Done and done. Fresh Thyme’s vitamins are incredible quality and affordable too. 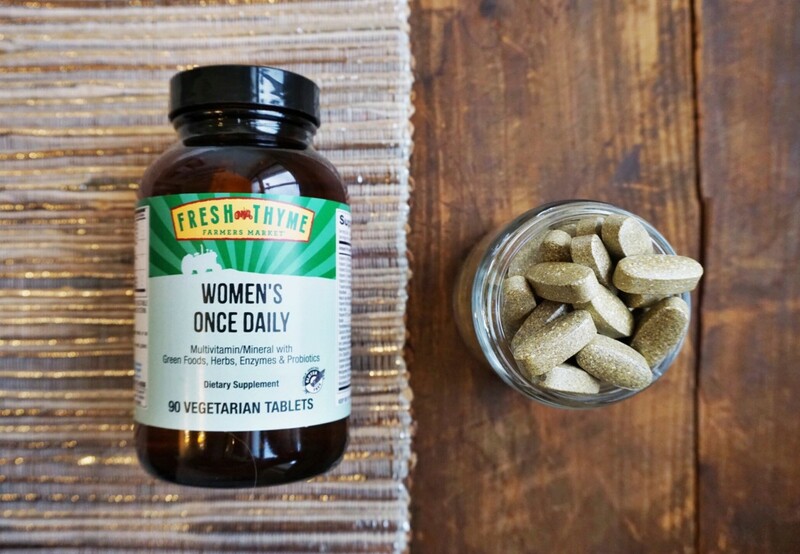 I love that they offer a daily vitamin specifically for women that includes things like biotin (great for skin and hair) and folic acid (a nutrient the CDC recommends all women of childbearing age should be taking just in case they get pregnant). Like I said, it’s good insurance. I actually added D-3 to my diet two years ago after my physical at that time showed I was deficient in Vitamin D. My doctor told me I was not alone, and that the vast majority of Americans (around 75%!) are deficient in Vitamin D.
Chronic Vitamin D deficiency is tied to a lot of bad diseases. We’re talking things like cancer, heart disease, and diabetes. He recommended I take 2,000 mg of D-3 a day and that we’d recheck my levels the following year. I am a huge fan of NOW and have used their products for years. After leaving my doctor’s office I bought NOW’s D-3 capsules and started taking them daily. I’m happy to report that a year has passed and my D-3 levels are back up where they should be. Yearly physicals are such a blessing. They let your doctor catch small things before they become big problems. If you’ve been putting off getting a physical, please don’t wait any longer. Your health is your most important possession. Treat it as such. You guys know I am all about gut health. I dealt with a bad case of IBS in college (that thankfully hasn’t resurfaced! ), and quickly realized the havoc an unhealthy gut can wreck on your life. At my worst point with IBS I was unable to sleep at night because my stomach was so bloated and I was in so much pain. My GI recommended I look into a daily probiotic and I’ve taken them ever since. This year I want to step up my gut game by also adding prebiotics to my routine. Probiotics are the healthy bacteria your gut needs, and prebiotics are the food probiotics require to thrive. Think of it like prebiotics < probiotics < healthy gut. If you have time I’d recommend researching the importance of pre and probiotics. I’m a big believer that everyone should be taking a probiotic. I have some probiotic brands that I absolutely love, but prebiotics are new to me, so I decided to do a little research. 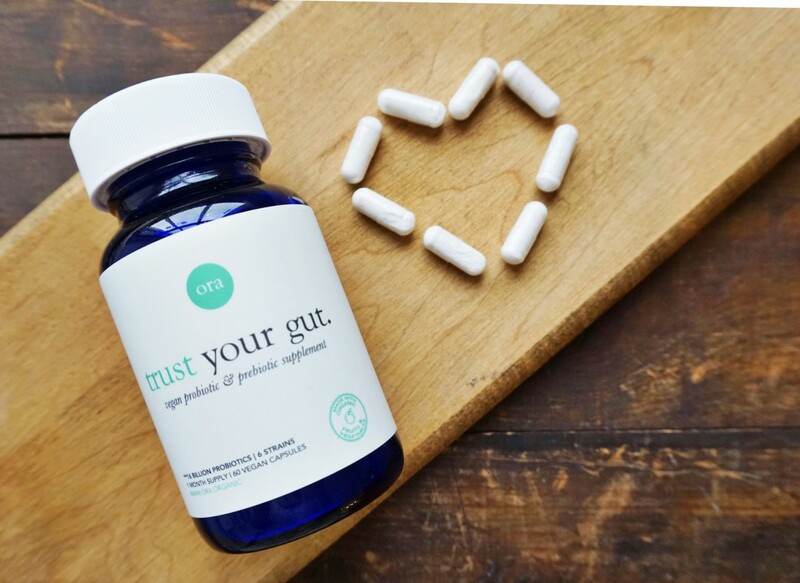 Ora’s Trust Your Gut Pre and Probiotic blend appealed to me because it doesn’t require me to buy two different products and its shelf stable. Convenience for the win! I’ve just started taking them and am excited to see what my body thinks. Questions of the Day: Do you take supplements? If so, which ones? Have you shopped at Fresh Thyme before? Thanks to Fresh Thyme for sponsoring this post! I agree healthy eating is the best way to go but sometimes supplements do help out. I have taken a prebiotic for awhile. I so needed to read this! I am vitamin D deficient and keep an eye on all info to stay informed and healthy! TX! Love hearing about your journey with gut health and choosing probiotics! I’ve had a lot of food intolerances and digestive issues, so I’ve been taking probiotics for a while, but I’m always on the lookout for which brands others recommend! The hard thing is that everyone’s gut bacterial makeup is different so probiotics aren’t always a one-kind-fits-all thing. Learning with you! Okay, this post was very helpful, and I’m just about to go take my multivitamins and probiotics! Thanks for sharing, I never know which supplements to take! I am ALL about taking a daily probiotic! They make a huge difference in my overall gut health and I can feel the difference. I take a multivitamin and D3. I’ve taken a probiotic in the past but need to get back on one. I’ll check out the prebiotics. I’ve never been to Fresh Thyme but there is one by me so I need to check it out. Thanks your post is really helpfull!! loved the post! raising awareness on healthy supplements is super relevant because most people don’t even meet their daily requirements! Vitamin D is so important especially in withertime, where we don’t get much sun….I also take b12 vitamin! I definitely need to invest in a good vitamin D supplement! Living in the UK means that for about 5 months of the year, it’s virtually impossible to make my own with sun light (and being very pale makes staying out in the sun very risky for sun burn) – will also have to look into getting some pro and pre bionics! I had always wondered what prebiotics were, so thank you for explaining them in this post. I take melatonin to help me sleep (it doesn’t really work, but whatever), as well as Magnesium, D-3, fish oil, and Calcium. I take a probiotic, D3 and some other vitamins but not a multi. I may be looking into prebiotics as I don’t know as much about them. Thanks for sharing this! I recently started taking a probiotic and it’s amazing what a difference they can make! !